Hello. 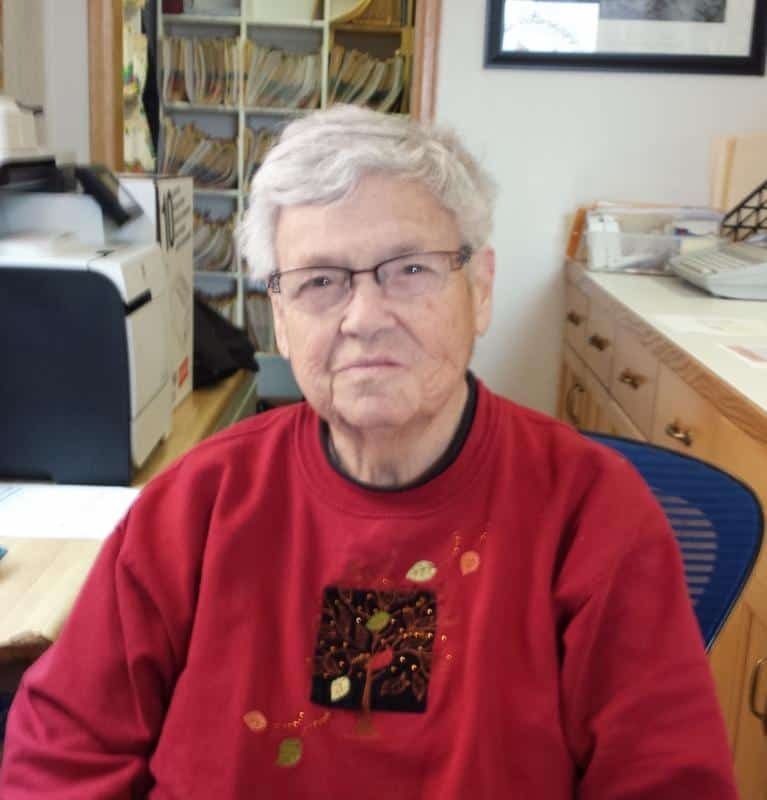 I’m Rachel Mahoney, Office Manager here at Full Circle. Thank you for caring for your pet and reading our newsletter. We hope you will find valuable information that you can use for your pet and its needs. 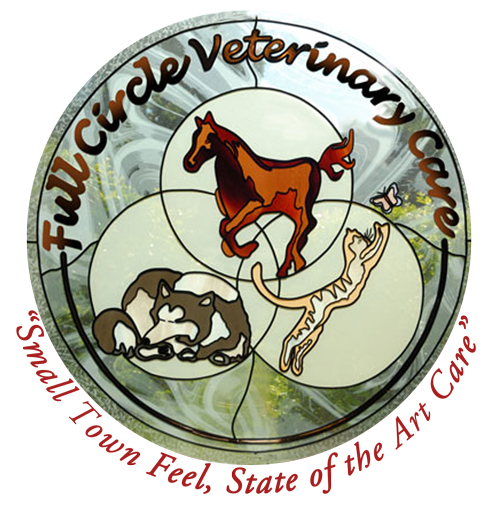 At Full Circle Veterinary Care we are committed to the human/animal bond through client and community education on animal care and health. Our focus is on the prevention of disease as well as the art of healing. We want to support you in all stages of owning a pet from helping you choose a lifelong companion to saying good-bye to a lifelong friend. In this way, together, we will come… Full Circle. Weld County Veterinary Medical Association (WCVMA). Heartworms and internal parasites are a year-round concern. Keep in mind that the bite from just one mosquito can infect your family dog or cat with heartworms, which can lead to potentially deadly heart and lung damage. 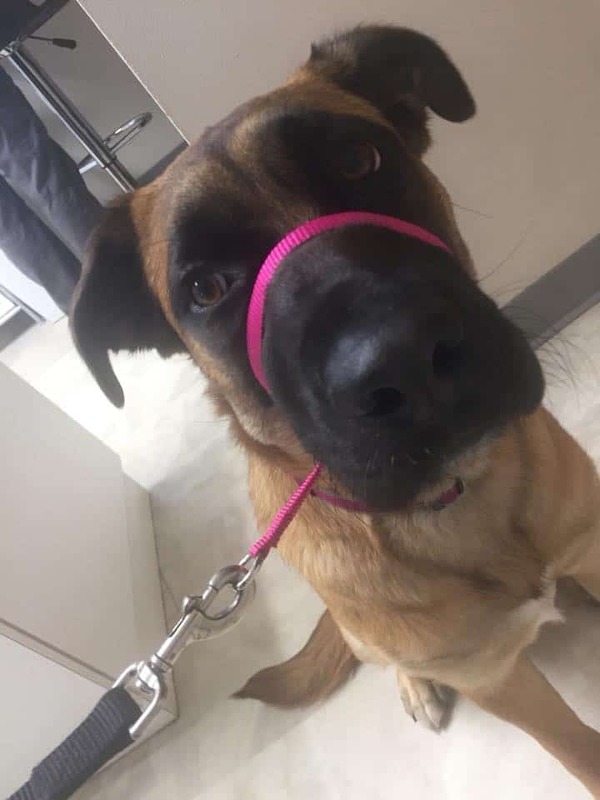 FCVC is offering a Heartworm Prevention Test special for $25 when appointments are scheduled during the last two weeks of April. Technician fees will be waived for this special, too. Please call us at Full Circle Vet Care soon, at 970-587-5140 to schedule a heartworm test for your pet. 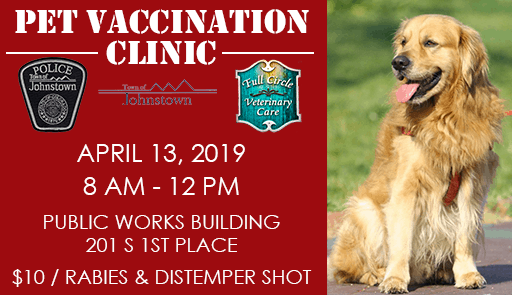 The Town’s Annual Pet Vaccination Clinic, co-hosted by Full Circle Veterinary Care Clinic and the Johnstown Police Department, will be held on Saturday, April 13 at the Public Works building, 201 S. 1st Place, from 8 a.m. to noon. Rabies and distemper vaccinations will be administered for $10 per shot. Town licenses for animals will also be sold for $4 for neutered animals and $10 for unaltered animals. Call Town Hall at (970) 587-4664 or Full Circle Veterinary Clinic at (970) 587-5140 with any questions. Sponsored by The American Society for the Prevention of Cruelty to Animals (ASPCA), National Help a Horse Day is dedicated to spreading awareness of the many abandoned, neglected and abused horses across the country. For more information and to learns ways that you can help a horse, click HERE. 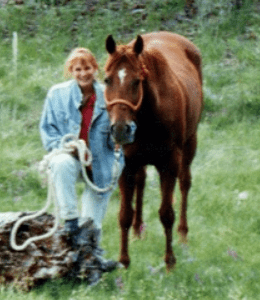 Here’s a picture from the past of Full Circle Vet Care’s own Dr. Mahoney with her horse, Rock. Authorities are warning people not to touch or go near wild animals and to have your pets and livestock vaccinated. 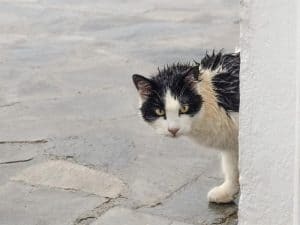 Any mammal, including humans, can contract rabies and the risk increases when pets and domestic animals are not vaccinated. 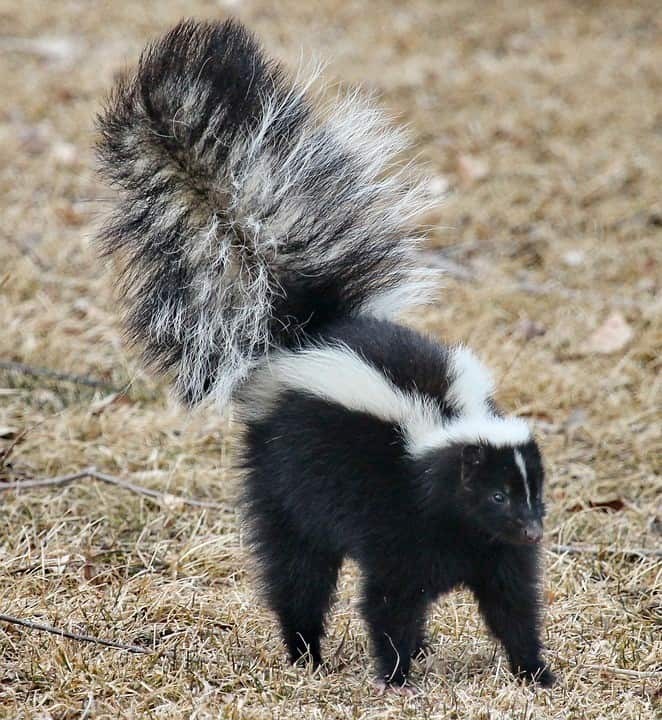 One rabid skunk has been found in Greeley and one near Keensburg recently. In addition, five skunks have tested positive for rabies in Larimer County. Skunks seem to be the main culprit so far this year. Wildlife in Colorado that have been infected with rabies include skunks, foxes, raccoons, bats, deer, mountain lions, and muskrats. Cats are more likely to be infected with rabies than dogs. This is probably because they are less likely to be vaccinated and may not be well supervised when outdoors. 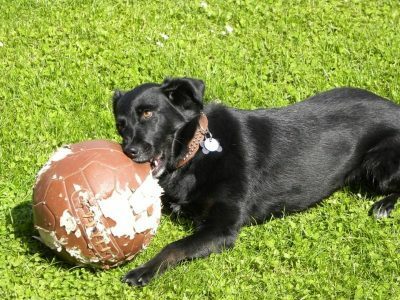 All dogs, cats, ferrets, horses and livestock should be vaccinated against rabies. 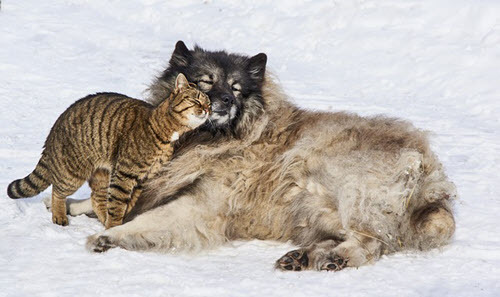 Animals that have frequent contact with humans should be vaccinated. Teach children never to handle unfamiliar animals, even if they appear friendly. Observe wild animals from a distance. Do not feed or handle them, even if they appear friendly. If you see a wild animal acting strangely, report it to city or county animal control personnel. Make sure your pets and livestock are current on rabies vaccinations. Any domestic pet exposed to rabies must be quarantined, potentially costing you thousands of dollars. Unlike humans, there is no shot that can be given to pets AFTER rabies exposure to fight the disease. If your pet has already had a rabies shot, then exposure requires only a booster shot. 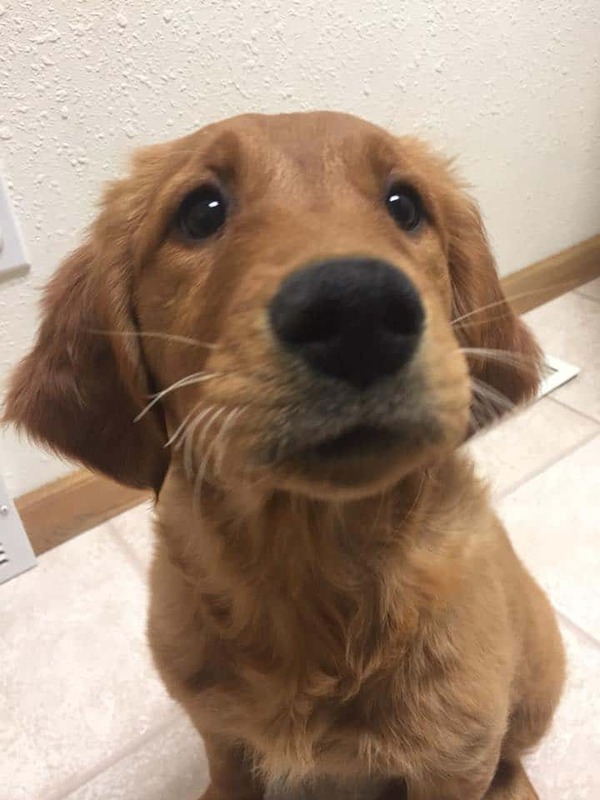 Please do not hesitate to call Full Circle Vet Care at 970-587-5140 to see if your pet is still current on its vaccinations or to schedule your appointment today. The annual Johnstown Pet Vaccination Clinic is scheduled for Saturday, April 13th. Full Circle will be offering rabies and distemper vaccinations for only $10 each. 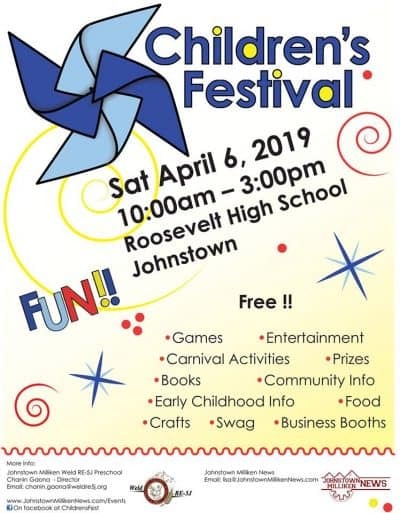 The Clinic will be at the Johnstown Public Works facility at 201 S 1st Place, Johnstown. Now that it’s warmer out, it’s time to show off your beautiful green lawn and flowers. That green lawn may mean the fertilizer being used can be poisonous and potentially fatal to pets. Dogs love to eat bones, and bone meal is often used as a fertilizer or supplement when planting bulbs. If you use pet-safe products, keep your pet off the lawn for at least 24 hours, or dilute fertilizers with plenty of dirt or water, it may be safe around pets. Cat lovers. remember that lilies can cause kidney failure if ingested by cats. 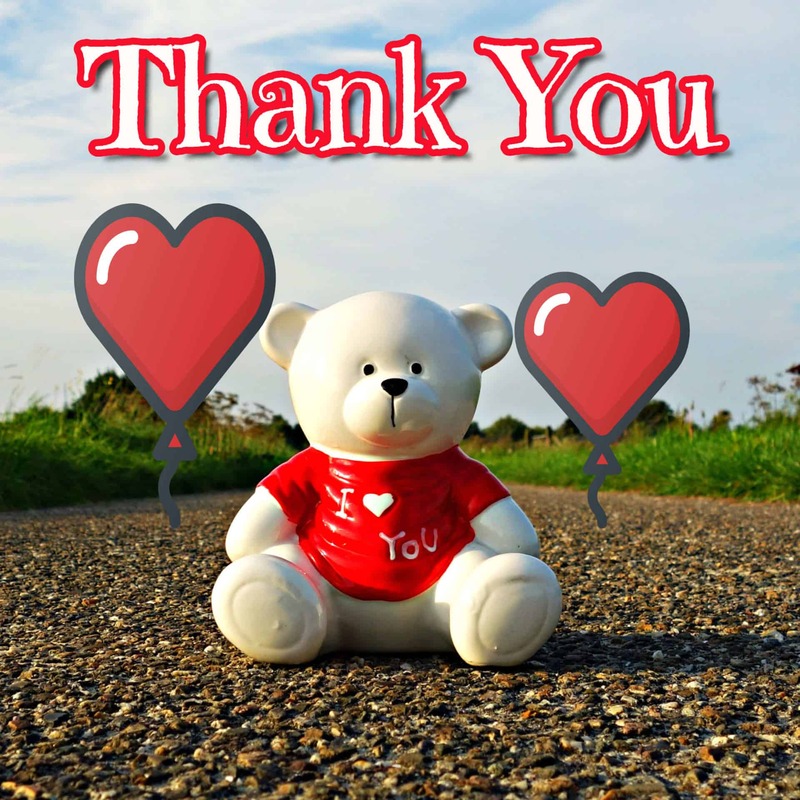 for all of us to say “Thank You” for your business! Call today for your appointment — 970-587-5140. 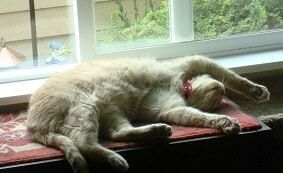 We want to show them off in our Facebook photo album of cute and wonderful pets! and we’ll add it to our album. Cats are not solitary animals and they need and enjoy companionship, both with other cats and with their favorite humans. Have you ever wondered what information you should have before you bring your pet into the veterinarian? We have questions that can help your veterinarian provide the best care for your pet. Please contact us to make sure your pet’s information is up to date. No Interest Payment Plans are Available! You might want to consider the convenience of a monthly payment plan. There is a program called CareCredit that is similar to your credit card. It is a convenient, low minimum monthly payment program to help you accept the best treatment recommendation for your pets. No annual fees and No Interest Payment Plans are available. Give us a call or stop by the clinic for more information. Do You Know About Pet Insurance? It’s becoming more popular to have insurance for your pet. Give us a call or stop by the clinic for more information. Please let us know if we can help you and your pet with our products and services.